While the selection of color schemes for corporate holiday parties may seem obvious, it can actually be a really challenging decision to make. The fear of offending someone in attendance by selecting one of the traditional holiday color palettes (red and green or royal blue and silver) is often a concern during the planning. So what are the other color scheme options during the holiday season? 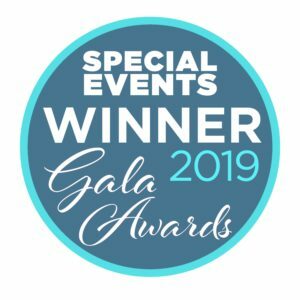 We asked Heather Rouffe of Atlas Event Rental to help us out with color scheme ideas for corporate holiday parties and here’s what she said! 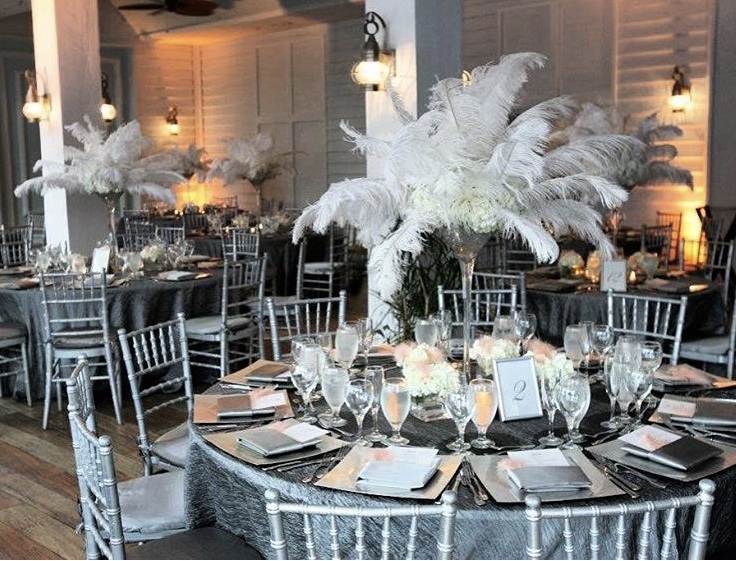 A very popular theme for corporate parties during the holiday season is Winter Wonderland. 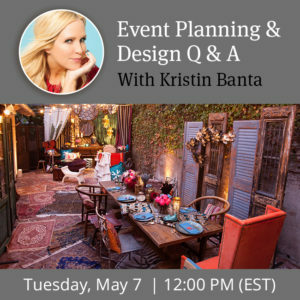 This theme removes the holiday from your event plan and makes it more about a celebration of the season! There are so many options for creating a Winter Wonderland. 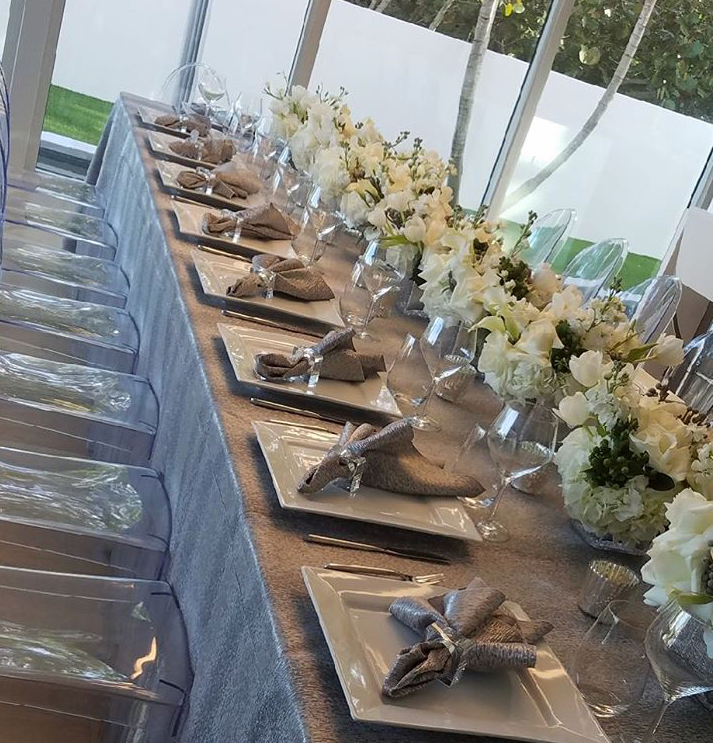 Consider shades of white, sparkly linens, glitter and jeweled napkin rings to combine and create a magical look. For a pop of color, consider a crisp, silvery shade of blue for a beautiful winter color scheme. Another option, which is always elegant and beautiful this time of year, is the use of metallics. Silvers and golds, paired with neutral tones can be warm and pretty without involving red and green or blue and white. Silver and white can be ever so elegant while remaining neutral. Use both holiday color palettes at once. As challenging as it may seem to incorporate both holiday color schemes into your event, it can be done! 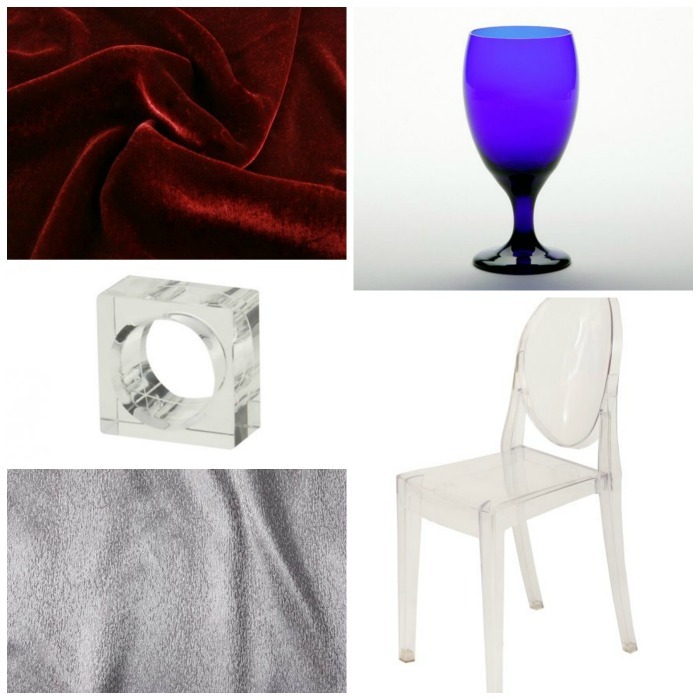 Choose velvet linens, perhaps in a burgundy tone paired with a colbat blue goblet and silver napkin. All three colors create a combined Christmas and Hanukkah color palette in an elegant setting.